Denise Batchelor is based in New Zealand’s far north where she is often to be found exploring the shallows and shoreline. Working in both still and moving image media, her practice reflects a deep engagement with the natural world and captures moments that simultaneously explore the familiar yet reflect the overlooked or unnoticed. 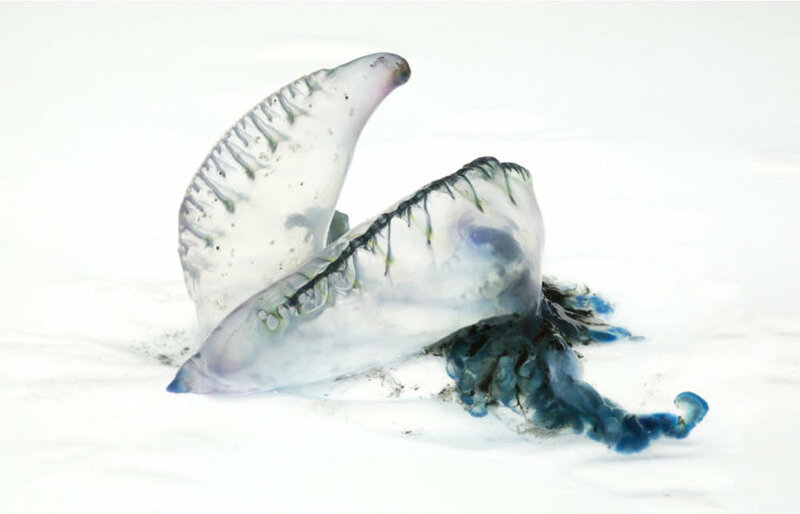 The Blue Series, (a suite of 6 still photographs), and Symbiosis (3-minute video), focus on the delicate but dangerous Physalia utriculus, commonly known in New Zealand as the bluebottle. These works featured in Evolutionary Biology – Appealing to the Populous, an exhibition presented by Humboldt University in Berlin, 2017.